P.S. I did share some pictures from this day below. Hope you enjoy them! An AUTISM WELCOMED “Jump & Smile” Mommy & ME Time-Out! As if the Train Stations weren’t enough to make our day, now I’d like to acknowledge and Send a HUGE Thank You to Jenny the Owner of Rebounderz in Apopka and her Absolute Wonderful Staff! I sure hope that after watching this video , it will encourage more of my families out there walking in my shoes to join Dustin & I for upcoming Time-Outs in person or online. There is NO REASON to “isolate” anymore! I promise I will continue to seek out people and places that DARE to display the Autism Welcomed “Symbol”. I know it’s a lot to ask of them, but it is such a Heart-Warming way to say “without words” We’ve Got Your Backs Families Living With Autism. PLEASE REMEMBER TO PLAY THIS VIDEO FORWARD AND/ OR GET YOUR DECAL TODAY! I’d Love to share YOUR Smile! Today is a Very Special Day! S.M.A.A.R.T.Mom’s son, Dustin turns 19 years old today! It took a little bit of pondering , but S.M.A.A.R.T.Mom finally plans a day she hopes will be a birthday Dustin will always remember. So with the help of her Family and New Found Friends Angel, Micah, Dee, John, David, Cody, the Conductor and the entire Cannonball Train Crew, even the Train Passengers themselves …….Dustin’s Autism Welcomed Birthday Train Adventure became a Dream Come True. I really hope more people and places watch this video and hop aboard the Autism Welcomed Decal Smile like The Cannonball Train and so many other Places already have. Going out in to “Public Places” are so very difficult for families living with autism. An Autistic person shouldn’t have a birthday memory created in the “isolation” of his/her own home. Every person like my Dustin deserves to feel welcomed , especially on their Birthday at a place to create a magical moment like we were able to. So please share this video as well as the autism welcomed video with ANYONE who is willing to Display their Smile with the Decal at their place of business/ home. 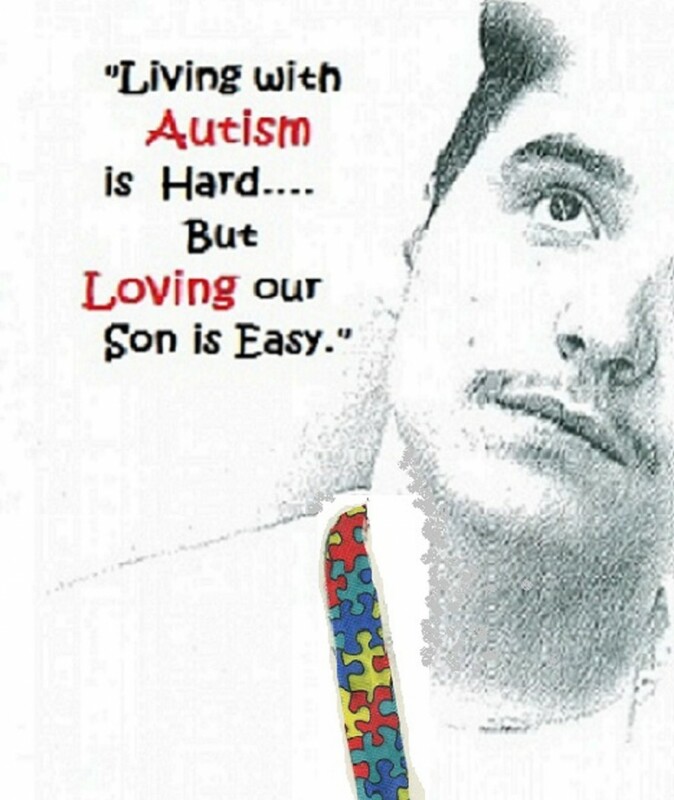 Autism isn’t just about melt-downs, it’s about melting the hearts of people who actually care about families living with autism every moment of every day . Sharing the Autism Welcomed Smile is a big deal; while you may think it’s really so small; you are really saying you care without words…..something an autistic person can so relate with ..
Oh….FYI: You are going to absolutely LOVE Dustin’s reaction after he opens his last birthday present !